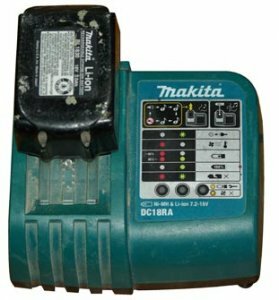 Did you know that every standard 18v lithium-ion Makita charger (Model DC18RA) can play music every time your battery is done charging? I have had my Makita drill and impact for around a year but never knew this. Here is how I figured it out. I heard a co-workers charger play a song when his charge was complete and wondered why his played songs and mine didn't. After checking and double checking that the model numbers were the same, I figured mine could play songs too. My co-worker never actually knew why his played music, so we were both curious. After looking at the charger for about 5 seconds it became clear me and I had a "duh" moment. It was so easy. At the top of the charger are some musical icons that explain everything. You simply slide the battery in and out of the charger 1-5 times a row to change from beep mode to one of the 4 classical song choices or to enter into silent mode. Now when you and your co-workers are charging your batteries at the same time, you will know who's battery is done charging just by the song. Plus it is really fun too. Its kind of like the custom phone ringer on your cell phone.